"The novel was begun in 1926, when I was twenty-four years old and working as a telephone engineer in Imperial Valley, on the California-Baja California border. During my stay there I made a horseback trip down into the little-known desert interior of Lower California. After having lived all of my early years in the high Rockies of California, I was unprepared for the vast sweep of sunstruck desert with its flat wastes, clumps of cacti, and barren parched-rock ranges. Its emotional impact was so profound, I was impelled to give voice to it with pencil and paper." 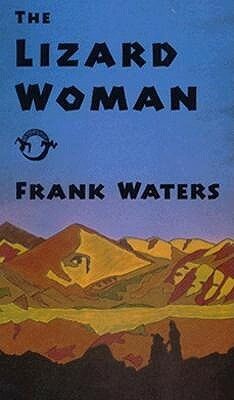 First published in 1930 under the title "Fever Pitch," "The Lizard Woman" is Frank Waters' first novel. It foreshadows a theme central to Waters' later work: that we must attune our spirits to the land to fully understand our places in the natural order.